1. Q(x) is a product of distinct linear factors. 2. Q(x) is a product of linear factors, some of which are repeated. 3. 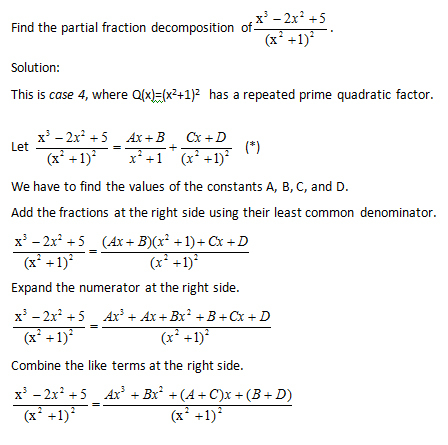 Q(x) has distinct prime quadratic factors. 4. 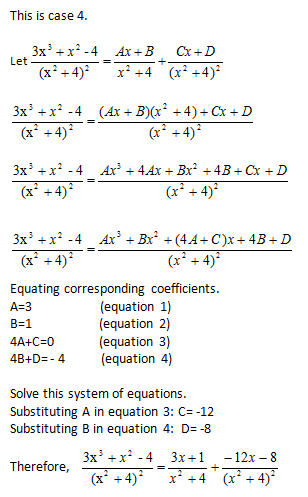 Q(x) has a repeated prime quadratic factor. This lesson covers cases 3 and 4. 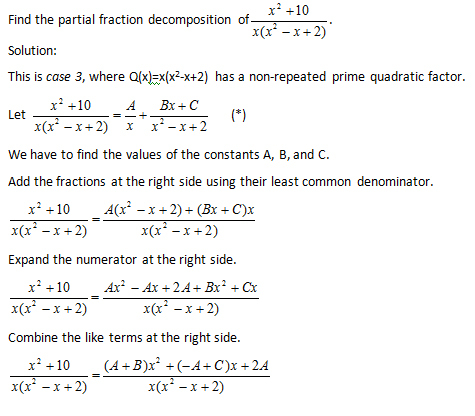 Since the fractions at the left and right sides have the same denominator, it follows that they have equal numerators. 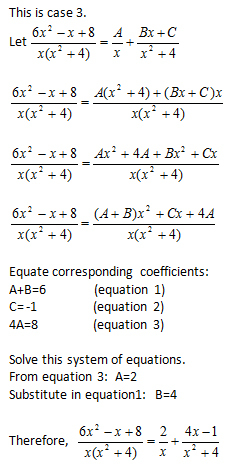 Therefore, the coefficients of x2 are equal, and so with the coefficients of x and the constant term. 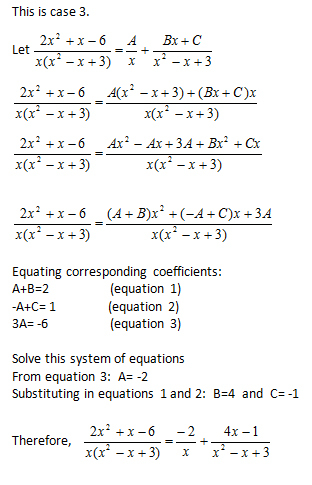 Therefore, the coefficients of x3 are equal, and so with the coefficients of x2, x, and the constant terms.